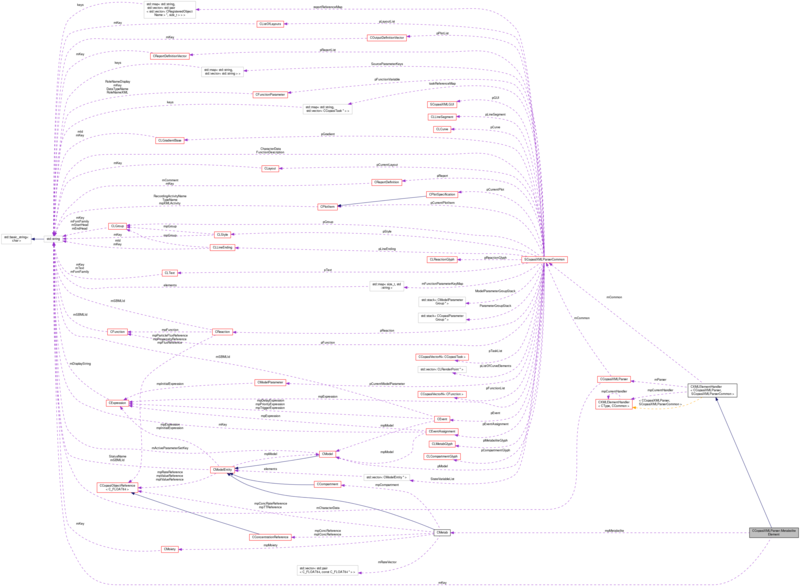 Definition at line 1244 of file CCopasiXMLParser.h. Definition at line 1252 of file CCopasiXMLParser.h. Definition at line 2526 of file CCopasiXMLParser.cpp. Definition at line 2532 of file CCopasiXMLParser.cpp. Definition at line 2652 of file CCopasiXMLParser.cpp. 2711 // due to incomplete model specification at this time. 2730 // due to incomplete model specification at this time. Definition at line 2535 of file CCopasiXMLParser.cpp. 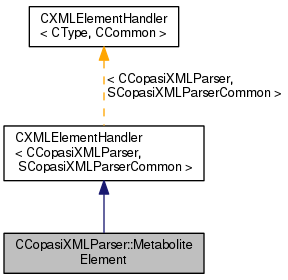 References CCopasiVector< T >::add(), CCompartment::addMetabolite(), CCopasiMessage::EXCEPTION, fatalError, CKeyFactory::get(), CModel::getMetabolites(), SCopasiXMLParserCommon::KeyMap, CCopasiXMLParser::mCommon, MCXML, CExpatTemplate< CExpat >::mParser, SCopasiXMLParserCommon::pModel, CModelEntity::REACTIONS, toEnum(), UNKNOWN_ELEMENT, and CModelEntity::XMLStatus. 2565 // We need to handle old files which used the attribute status. Definition at line 1298 of file CCopasiXMLParser.h. A pointer to the current metabolite. Definition at line 1293 of file CCopasiXMLParser.h.